In Japan, the cuisine eaten on and around New Year’s is known as osechi ryori. Not only are these delights utterly delicious, but each one is also utterly auspicious! Let Japan Centre guide you with our breakdown of traditional Japanese New Year cuisine. It’s the quintessential tipple of Japan. Loved throughout the country and gradually becoming adored all over the world, sake is the drink of the moment. Japan Centre has the greatest selection of sake in the whole of Europe! And we’ve just got hold of some shiny new ones! So how about making your New Year’s celebrations extra special with some stonkingly good sake from Japan Centre? With just a few days left till Christmas, we thought we’d remind you of some of the wonderful gift opportunities we have in store. Don’t forget, we’re conveniently located in Piccadilly AND in Westfield Shopping Centre, Stratford. For all you loyal Japan Centre fans out there, we’ve laid on a spectacular Christmas give away! For the next three weeks Japan Centre is giving you lovely lot the chance to win one of our magnificent hampers, that are literally bursting with goodies! A New Addition to Our KitKat Family! We know all you Japan Centre followers can’t get enough of our weird and wonderful Japanese KitKats. We’ve even talked about them before in our blog post. 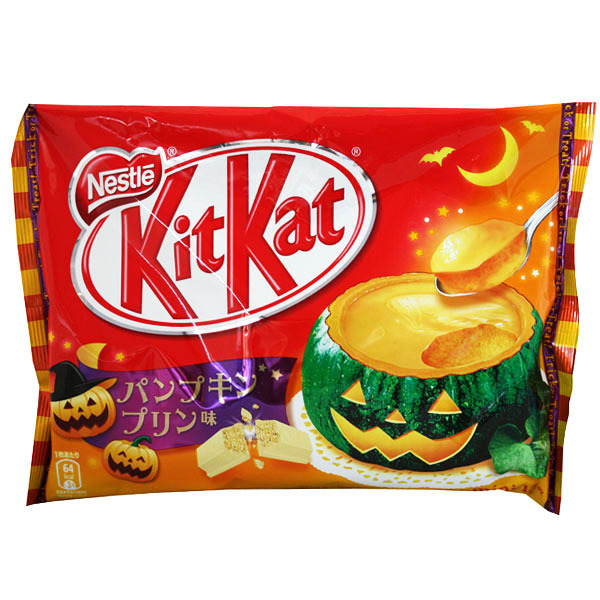 Welcome then, the New Bakeable Pumpkin Pudding KitKat.